PRIME LAND FOR ALL DEVELOPERS! LOCATION-LOCATION-LOCATION!!! NEAR LEESBURG INTERNATIONALAIRPORT. 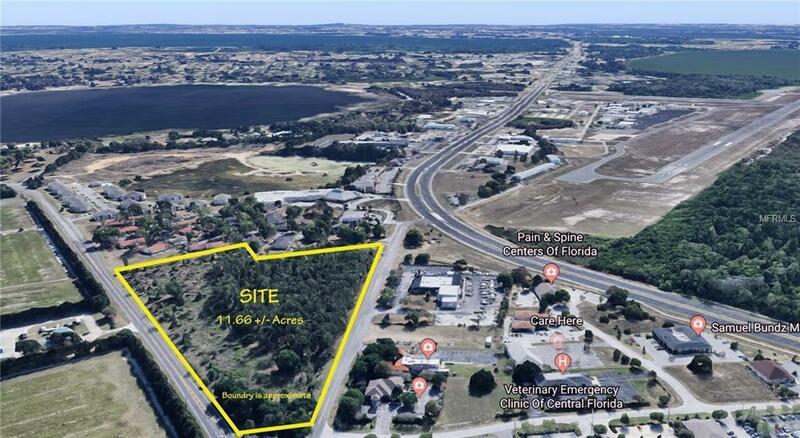 Rare opportunity for development in prime growth location on two highly traveled Leesburg roads nearmedical offices and Comcast. High visibility and high traffic count directly on County Road 44 as well as CR 44 Leg A.Quick access to US HWY 441. 11.66 acres zoned commercial. PRICED FOR A QUICK SALE!